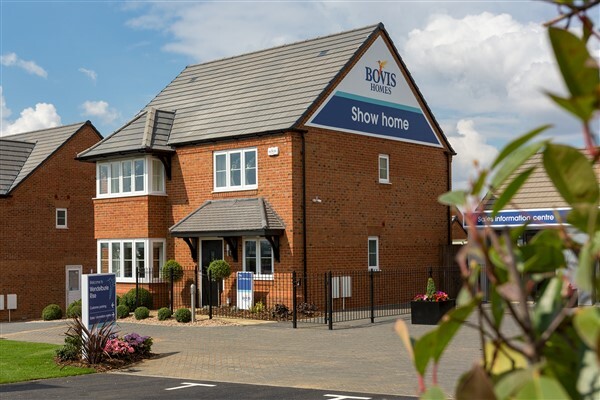 Families visiting Bovis Homes’ Wellingborough location will get more than they egg-spected this weekend as the housebuilder hosts a special Easter event for its visitors. The housebuilder is inviting families to visit its Wendelburie Rise location on Saturday 20th April, from 11am until 2pm, to take part in an Easter egg hunt. Visitors will also be able to say hello to a very special guest - the Easter Bunny! “We’re inviting families to join us this Easter to enjoy the activities we have on offer,” says regional marketing manager, Heather Suffield. “Along with the Easter bunny and egg hunt, we’ll also have a face painter and some chocolatey treats! Wendelburie Rise at Stanton Cross offers a range of three, four and five-bedroom homes created for modern lifestyles. The properties include popular features, such as open-plan living areas, bi-fold doors, en-suite bathrooms and built-in wardrobes. Stanton Cross is an exciting new Northamptonshire community, with green open spaces, schools, shops and a range of amenities. To find out more about Wendelburie Rise, go to www.bovishomes.co.uk or contact the team on 01933 590185 or email wellingborough.sales@bovishomes.co.uk. Alternatively, visit the sales centre which is open daily from 10am until 5pm.